Plenty of fun and learning discoveries for the whole family to enjoy! 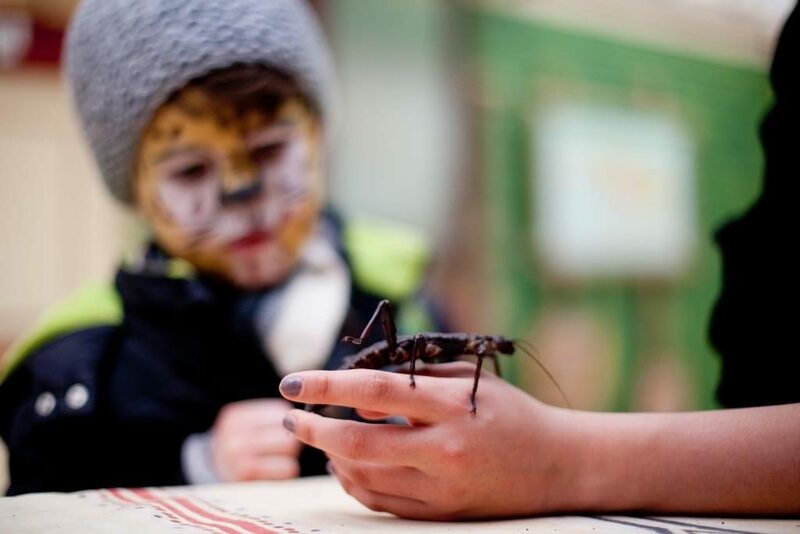 Find out more and have the opportunity to hold some of our friendly bugs from Madagascan Hissing Cockroaches, Giant African Land Snail and Giant Spiny Stick Insects! Take a look around our touch tables and experience the feel of different textures of crocodile skin, a swordfish snout, seal fur and spiders skin amongst many others! 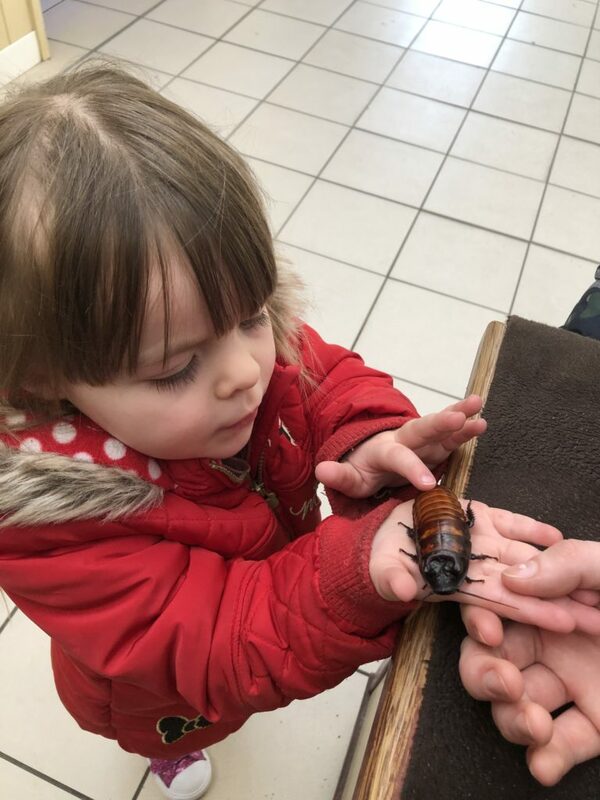 See what different species you can spot and discover in the many vivariums inside, including snakes, spiders and invertebrates! Get your face painted and transform yourself into your favourite animal! There are a number of different animals to choose from leopards to monkeys! Please note that face painting may take place in the Discovery Centre or Jungle Tumble Play area – Please ask staff on the day of your visit.